I was sucked into the drama of Infernal Gates from the first chapter. The book reminds me of the Left Behind series or Frank Peretti's This Present Darkness, but with a fresh take. There are three distinct sections: The Kingdom, The Powers, and The Glory (get it?). In the first section we are introduced to all the major players. There are different religions represented including Catholicism, Protestantism, Judaeism, Muslim and Native American beliefs. In the second section we learn about the characters' backgrounds and how many of them are interconnected. 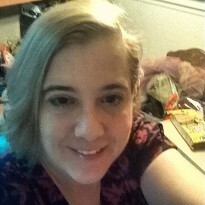 The forces for good are led by Tabitha, a Guardian and direct descendant of Lazarus, who is directed by the angel Gabriel. The forces of evil are led by The Unmentionable, a demon released from The Abyss, along with his minions, The Nine. It is in the third section that the real battle between good and evil takes place. There are many signs and portents along the way, some from the Bible and some from other sacred texts and myths. 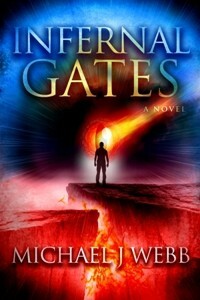 Infernal Gates is well-researched and inspirational, scary and fascinating, heartrending and heartwarming. It is an emotional rollercoaster that will leave you guessing to the very end.